Contribution from Robert Stephan Hinshaw. GEDCOM file g1682.ged at http://www.ancestry.com citing: birth certificate. Contribution from Robert S. Hinshaw citing: divorce documents. GEDCOM file g1682.ged at http://www.ancestry.com citing: death certificate. 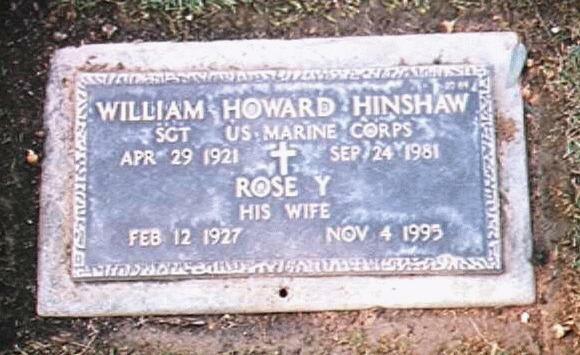 Contribution from Robert S. Hinshaw citing: William's gravestone.